Mobile application development is technical enough, and needs to be handled by experts. However, working on hybrid app development is a completely new ballgame. There are different rules and technical knacks, which will hover around this development. For the finest categories and developments in this segment of hybrid mobile app development, it is better to consult an expert. And by experts, you mean us, at Alliance International IT. We are proud to offer you with qualified help under hybrid mobile development segment. We can offer massive help around here. Just be sure of your requirements, and we are ready to help you with that. We believe that working on hybrid mobile app is not that easy. But, as we are working with a team of highly qualified experts, so the process is not going to be that difficult for us to handle. We will check your quality help first, and offer you with noted results. Just make sure to pre-note the requirements you need, and inform about it. After receiving requirements from your side, helping you will be an easy piece of cake for us. Our hybrid app developer will be here to help you with that. Our team is now readily available to help you with the ionic development services.in case, you are looking for cross mobile development platform, and this package is going to be a well-suited example from your side. We will follow a fixed period, within which, we would like to offer you with qualified help. This framework is a perfect mix of tools and library, for constructing some of the interactive apps of all time. You can hire the best from our side. Our ionic developers are all set to offer you with massive helping points. You are most welcome to join hand with our mobile application developers for help, which are hard to miss out. We have a positive understanding on the Ionic framework, and would like to offer you with end to end ionic solutions. Some of our ionic services are mobile app development, customized framework development, testing and QA services, App design and development and more. You can be a part of our team for engaged form of hybrid apps and enterprise app development, too. Just like working on the Ionic service, we would like to deal with xamarin app development, as well. 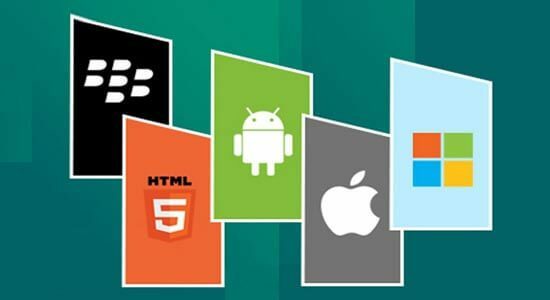 You will get everything, which you need for delivering finest mobile apps. Starting from native IOS to android, windows and more, we will deliver existing teams, skills and codes for your use. If you plan to check it out individually, Xamarin has the finest class of products under mobile category. You can call our xamarin cross platform application development for details. Our Xamarin is segmented under four major scales, and those are build, test, distributed and learn. Grab us for details now. You are likely to build some native apps for various platforms. These will be placed under C# codebase. You have the right to use the same language, IDE and APIs, anywhere you would like to. You have the right to do anything associated with the Objective C, Java or Swift, whichever goes well with C#. After you have taken help of our experts for xamarin mobile application development for ios, you might want to check out the other versions, too. You have phonegap Titanium mobile for an instant. You can browse through some of our best and feature loaded packages, before coming to a real deal. Sometimes, you might have to hire xamarin developer to help you with the finest PhoneGap development. Under this category, the first notion to catch your mind is that of PhoneGap app development. Here you get to build and design some customer enriching apps for e-commerce, insurance, banking, and healthcare and even for entertainment purposes. You can even get along with us for phonegap mobile enablement packages. There are so many other practices, which we would like to present you with under the PhoneGap category. Well, you have the app integration, app testing and migration, support and consulting, as some of the other noted points, over here. It is always mandatory for you to hire services from our PhoenGap developers sometimes. Here, we are proud to present you with some of our best programmers, for upcoming and ongoing projects. Whenever you are in need of any help for hybrid mobile app development, make sure to give us a call. We are always there by your side, ready to answer your call and solving your queries. You can even email us your problems, and let us guide you, from start till finish.